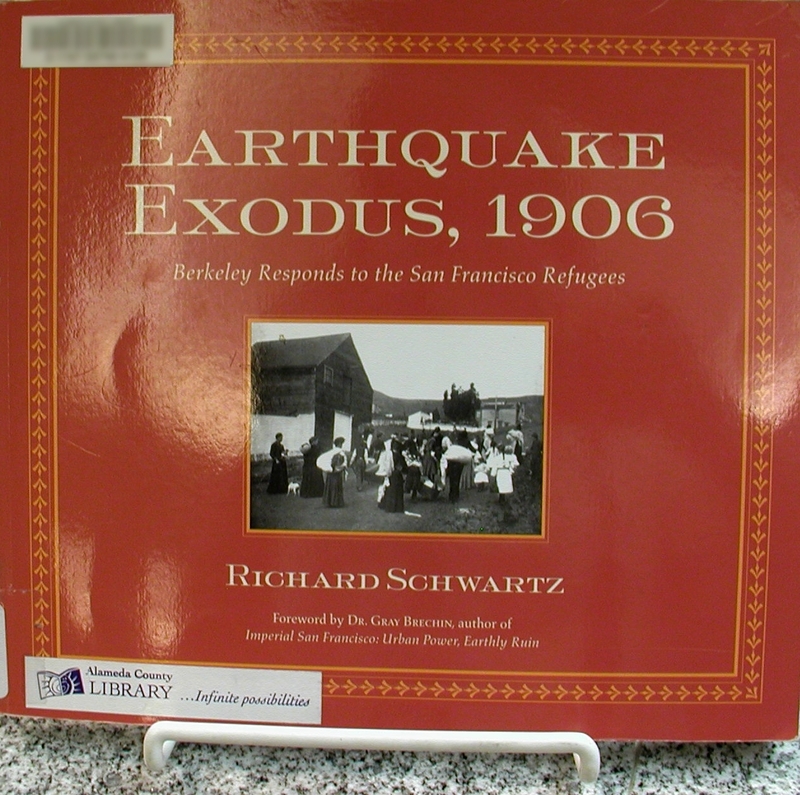 This Monday’s YMCA/Library Brown Bag Speakers Forum features local East Bay historian, Richard Schwartz. 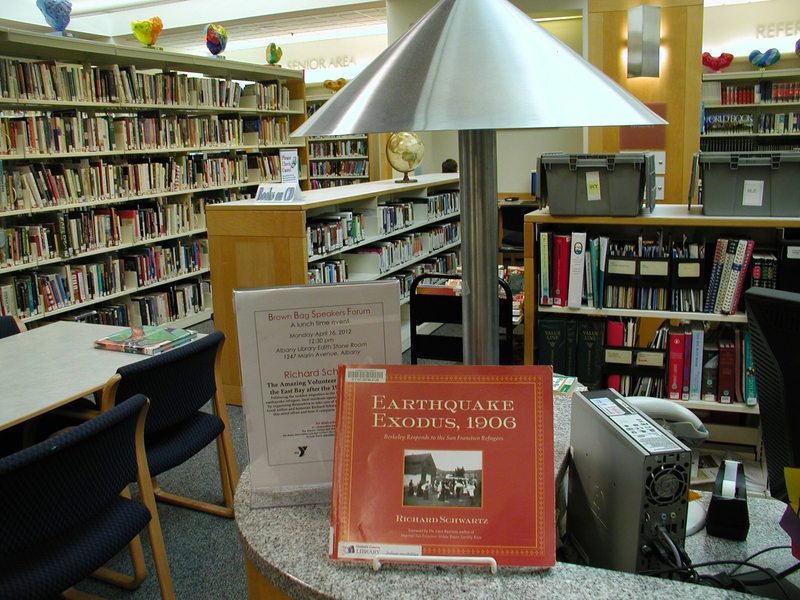 He has a fascinating collection of stories and slides to show how people survived the quake and assisted each other in its aftermath. Solano strollers may like to know their shopping mecca was once called Tin Can Town, after those left homeless by the quake set up tarp and scrap metal shelters in the area. Come to the lecture starting at 12:30, April 16 in the Edith Stone Room.